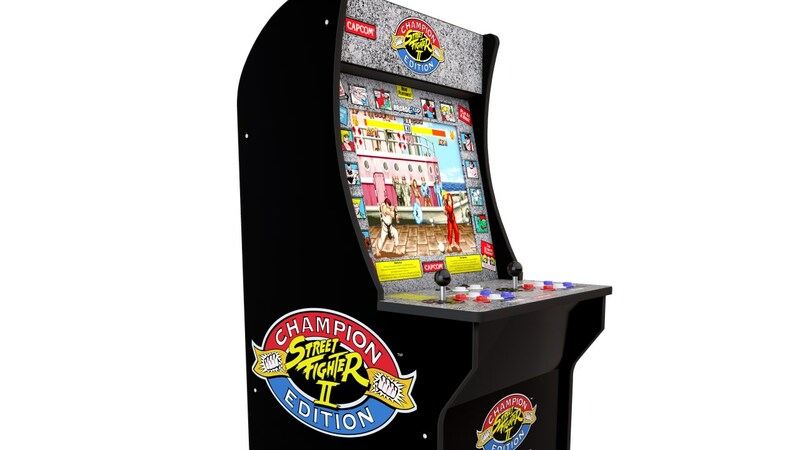 At $299 USD/$350 CAD, it’s about as low as you’re going to get for a complete Street Fighter II arcade cabinet. Some eBay searches showed that nowadays you’re paying a few hundred just to get the motherboard for one Street Fighter II game. That doesn’t include the screen, cabinet, buttons, or wiring. On top of that, you’re getting Champion Edition, Super Street Fighter II, and Super Street Fighter II Turbo all in one cabinet. Personally, I would have preferred Hyper Fighting over Champion Edition, but that’s kind of splitting hairs. In a world where I make this jump into being the owner of an arcade machine, this is as affordable as can be. You can play three versions of the iconic fighting game franchise on this machine, but that’s it. Maybe you could hack it to run more, but then you’re taking away from the “purity” of the machine. Also, I know nothing about hacking arcade machines to play more games and don’t really have any interest of going down that rabbit hole. The cabinet is about 3/4 scale relative to the original. Having a smaller footprint makes it easier to store in the house. It also allows me to play while sitting down. Why would I want to sit down?! It’s Street Fighter II! You can buy a stand to bring the height back to something that better approximates the arcade experience, but I still have concerns with width. With two players, I am concerned that there isn’t enough real estate for two people to stand comfortably beside each other and play. A brand new cabinet with new buttons and a new LCD screen are a godsend. If you’re trying to buy an actual Street Fighter II from back in the day, it’s probably been beaten into oblivion and would require a lot of fixing up. With this, you’re good to go. The ROMS that you get in the package don’t give you any sort of options. No way to turn off the timer, adjust the AI difficulty, or set handicaps for individual players. You’re getting an arcade experience and nothing more. From the SNES onward, I own a version of Street Fighter II on almost every console I have. On top of that, I just bought the excellent Street Fighter 30th Anniversary Edition earlier this year, which gives me even more Street Fighter games, more options, and the ability to play online. Even then, I still haven’t put much time into it. This may not be an authentic Street Fighter II arcade cabinet from the 90s, but it appears to be a close enough facsimile of one without the burden of trying to maintain a machine that’s closing in on 30 years old. If I owned this machine, I think I would be comfortable with crossing this off of my bucket list. 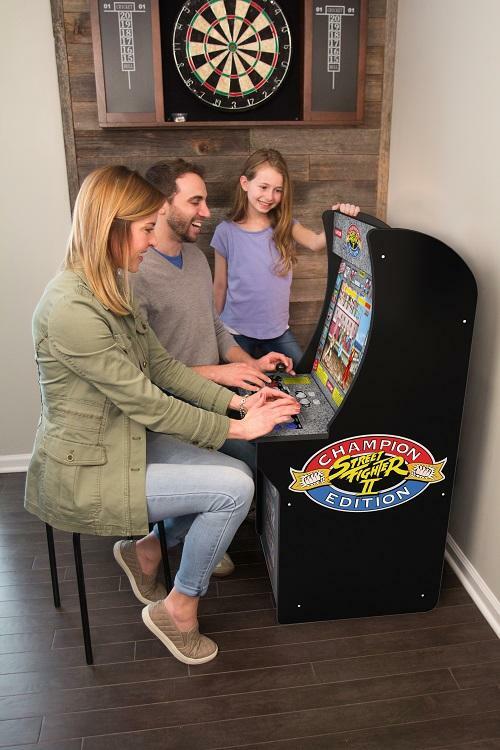 I think what this ultimately boils down to is, “Do I want to spend $350 on a trophy?” In theory, I love the idea of fulfilling a childhood goal of mine to have a Street Fighter II arcade cabinet in my house. However, it’s a lot of money and I know I’m not going to play it much. In the grand scheme of things, there are a lot of other good things I could do with that money. It’s sort of on my Christmas wish list, but I don’t feel comfortable asking Santa Claus to front the full price of the machine that I know won’t get much use. All of the rational thinking aside, the heart wants what the heart wants. …let’s re-evaluate when Boxing Day comes. Previous Article Double Jump vs. In Third Person in Pokemon Let’s Go Pikachu/Let’s Go Eevee! Compared to the 30th Anniversary collection, it’s crazy expensive. But compared to owning an actual Street Fighter II arcade machine, it’s a steal. Owning an arcade machine is the dream of many gamers. I still think that the Arcade 1Up is a bit overpriced considering that it will only play a couple of games. It’s also quite small compared to the arcade cabinets from the 80s.